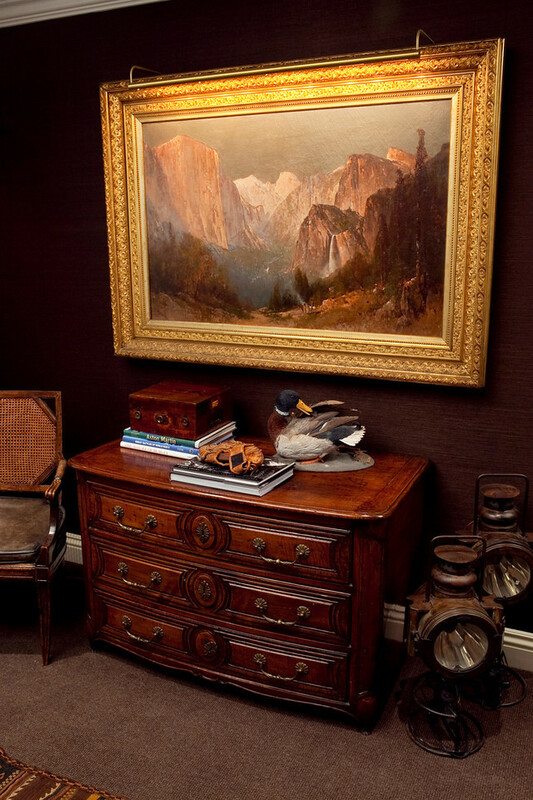 In this classic gentleman’s retreat, we created a collected interior that is the perfect place to seek refuge from the hustle and bustle of day-to-day life. We used Scottish influences from the homeowner's heritage and bespoke details to create a personal backdrop for glamorous living. 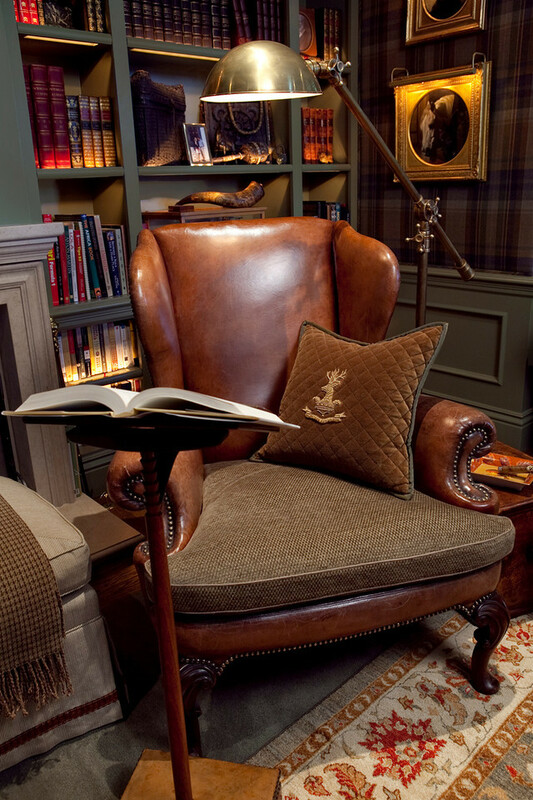 Custom plaid upholstered walls, deeply tufted leather furniture, and 18th-century antiques give the library a textured, worldly feel—the ideal place to enjoy a book by the fire.